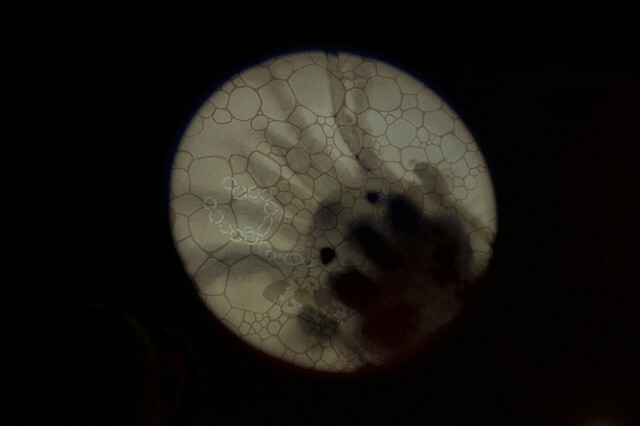 terra microbiotia / the delicate bridge illuminates the tiny creatures that terraform and inform the world around us - in particular, the acequias, ponds, and water systems found at Bachechi Open Space. 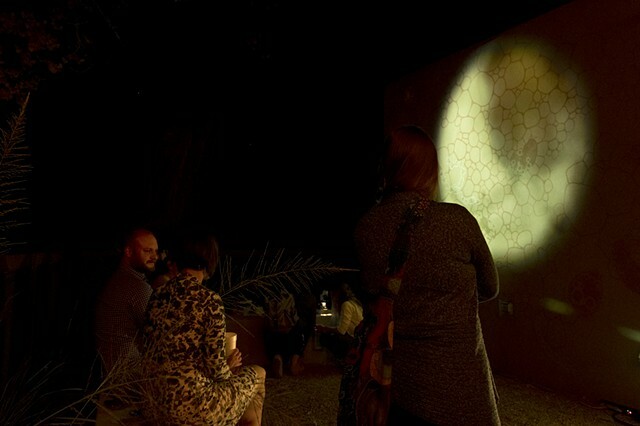 The artists collected water and soil samples from the acequias in and around Bachechi to identify and illustrate the flora and fauna that inhabit this space. 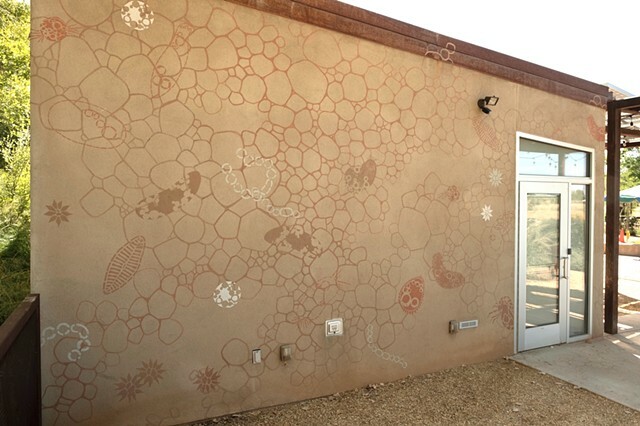 Then, they painted murals on the Bachechi Center wall and the central acequia depicting this microbial life. 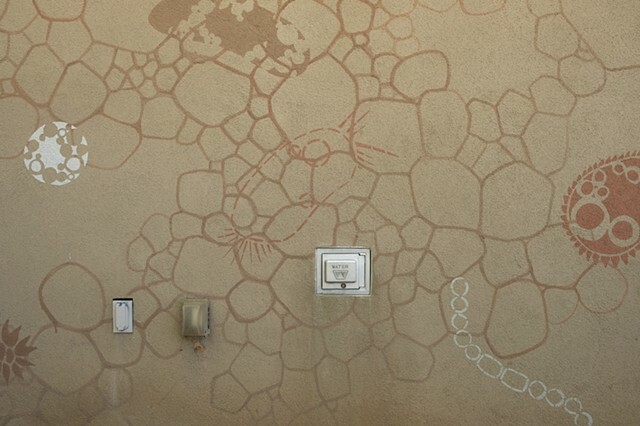 Each mural was painted using only local soil and water with no additional pigments or binders - the same materials in which these creatures live and on which we grow our crops and build our homes. The murals celebrate the vibrancy and importance of these tiny creatures. 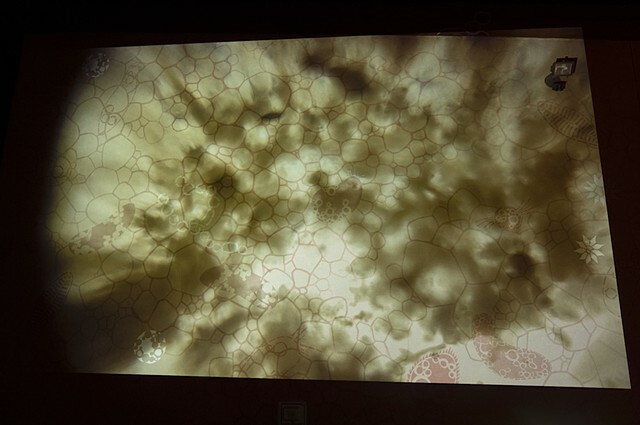 As the sun set on the work during the Bachechi Open Space 20th Anniversary celebration, the works were further activated by live projection of acequia water samples, turning the micro into macro so visitors can recognize the beauty and intricacy of these microbiotia. This work is ephemeral in nature and will fade and melt away over time through the influence of sun and rain, with the soil returning back to mix in to the grounds of Bachechi Open Space from where it came. 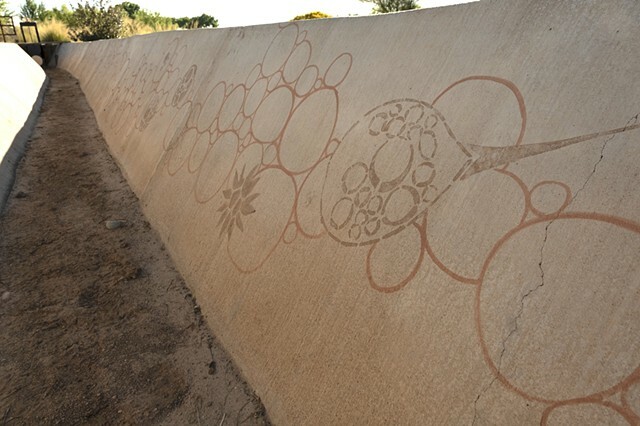 This collaborative public work was created by Jessica Zeglin, Rachel Zollinger, and Kaitlin Bryson, and commissioned by Bernalillo County for the 20th Anniversary celebration of Bachechi Open Space in Albuquerque, New Mexico.